Thank you for your interest in the AGO! Your email was successfully subscribed. 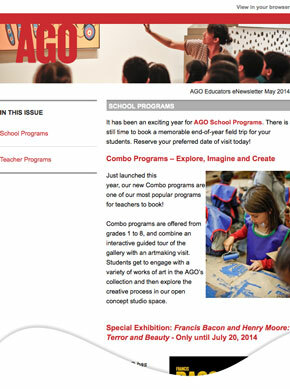 Stay connected to the AGO! Receive the latest news about our educational programs and resources, special exhibitions, and periodic email updates about our programming. Subscribe now!